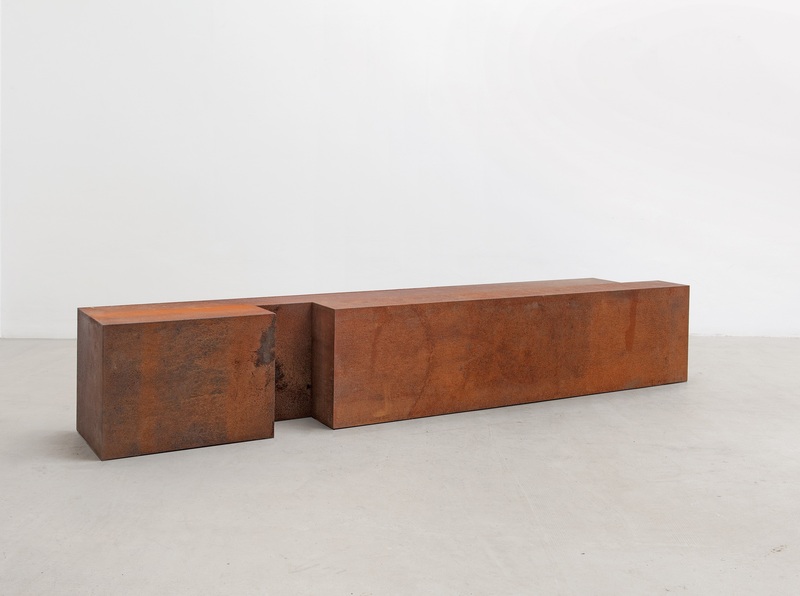 With her sculptures in burnt steel and corten steel, the Dutch sculptor Riki Mijling (1954, Nijmegen) works in a rich tradition of the geometric-abstract sculpture. Her work can be characterized as 'reductive': Mijling seeks a pure, unloaded visual language, free of ornament and anecdote. And yet her spatial sculptures and wall objects are by no means aloof or subcooled. On the contrary: Mijlings images are the drivers of our observation, precisely because of their modular, often changeable character. In an intimate process of sawing, grinding, polishing and applying a patina, Mijling unites matter and spirit, her love for the raw materiality and the spiritual charging, the 'loading' of the object. The appeal of her sculptures lies precisely in this paradox, in this animated vacuum, or as Mijling calls it, "showing emptiness". In addition to work by Riki Mijling, the exhibition Riki Mijling - forms of meaning also shows work by Bob Bonies, Guy Vandenbranden, Jan Dibbets, Walter Leblanc, Bram Bogart, Gaston De Mey and Jan Schoonhoven. A selection that 'bridges' in its diversity, and shows how artists found their own form and medium in their pursuit of reduction, to stillness in material and substantive sense.